Jesse Singh became Chief Executive Officer of The AZEK Company in June 2016. He was selected by the Board of Directors to build on The AZEK Company’s strong momentum and lead its next stage of growth. His top priorities are to grow business through product innovation, strengthen the firm’s distribution network and continue to provide superior customer service. Prior to joining The AZEK Company, Jesse successfully held leadership roles at 3M, including President of 3M’s Health Information Systems business. Jesse’s career highlights include running 3M’s worldwide, customer-facing operations, which was comprised of 4,000 shared services, 12,000 sales and 5,000 marketing professionals. He also oversaw the iconic Post-it® and Scotch® Brands; served as CEO of 3M’s joint venture in Japan; and spearheaded 3M’s global electronics materials business. Jesse has a BS degree from Rensselaer Polytechnic Institute in New York and an MBA from the University of Chicago. He currently serves on the Board of Directors at Carlisle as well as the board of the Minneapolis-based Walker Art Center. Joe Ochoa joined AZEK® Building Products as President in July of 2017. Prior to joining, he spent the last 15 years of his career at Owens Corning, a $6 billion company, in various roles. Most recently, he was Vice President of Strategic Marketing for the Roofing and Asphalt division, and served on the operating committee and as an officer of the company. Prior to that, he was Vice President and General Manager of the Engineered Insulation Systems (EIS) business; Vice President and General Manager of the Foam Insulation division; and General Manager of the Latin America division. Prior to Owens Corning, Joe served as Vice President of Technology for Servicelane, where he established a national network for home maintenance with Lowe’s Home Improvement Center as a key partner. Joe also co-founded Fifth Gear Media, where he laid the foundation for the profitable company to merge to form Luminant Worldwide Corp., which had a successful IPO. Before Fifth Gear Media, Joe held a variety of leadership positions with Frito-Lay (part of the Pepsico Company), Procter & Gamble, and AT Kearney. Joe holds an MBA from the Stanford University Graduate School of Business & a BA from the University of Texas. Scott Van Winter has been the President of Scranton Products and Vycom at The AZEK Company since January 2017. As President, he is responsible for guiding the organization through its next phase of growth. With more than 20 years of experience in the plastic-film industry, Scott most recently served as Chief Executive Officer and Executive Vice President at Jindal Films America. Past experience includes General Manager and Vice President of the Lumirror Polyester Film Division of Toray Plastics (America), Inc., and Vice President of OPS Sheet and Specialty Films for Alcoa Kamma Co.
Scott holds BA, BS and MBA degrees from Bryant University. John Pace joined the AZEK team in June 2018. 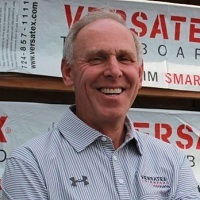 He was one of the founders of Versatex Building Products, formerly Wolfpac Technologies, Inc., a producer of cellular PVC products serving the building products industry since 2003. John orchestrated the growth of Versatex Trimboard into the second largest brand in PVC architectural trim. Prior to his time at Versatex, John served as VP of Operations & GM Windows for Napco Building Products, currently a Plygem brand, in the manufacture of vinyl siding, vinyl windows, and aluminum building products. He also served as VP of Operations for EG Smith Div. Cyclops Corporation, currently Centria, in the manufacturing and installation of architectural wall panel systems for a broad array of industrial, and commercial applications. John holds a BS in Civil Engineering from Lehigh University, as well as a Professional Engineers license. He has been involved in the manufacture, design and installation of metal, glass, composite and vinyl building products for 45 years. 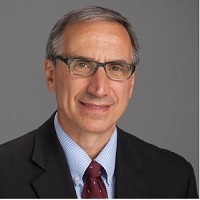 Ralph Nicoletti joined The AZEK Company in January 2019, bringing nearly 40 years of financial experience to the company. At AZEK, he will help ensure the company has the proper tools to maintain financial strength and help the company grow. Additionally, he will be responsible for developing, monitoring and evaluating overall corporate strategy with emphasis on bottom line performance, working capital and shareholder value to the position company for future growth. Previously Ralph was Senior Vice President and CFO at Newell Brands, Inc., where he was instrumental in driving the company’s growth. He has also held positions at Tiffany & Company, Cigna Corporation, Alberto-Culver Company and Kraft Heinz. Ralph earned his MBA and Bachelor of Arts degree from Pace University. Chris Eppel has recently been appointed to Senior Vice President and Chief Administrative Officer to The AZEK Compay. Previously, Chris was CFO of the company, after tenures as VP and CFO at Allied Specialty Vehicles, as VP and Corporate Controller for the Perrigo Company. He has a deep financial background, coupled with extensive Manufacturing, IT, Operations and Merger and Acquisition experience. Prior experience includes Senior Finance and Business Development positions at Danaher, Honeywell, Stanley Works, B.F. Goodrich and Deloitte and Touché. Chris earned a BS in Accounting and Economics from the University of Michigan. He also has an MBA in Finance and Operations Management from Indiana University. He is a Certified Public Accountant and is Six Sigma Black Belt certified. Dennis started his career as an engineer in the automotive and aircraft industries. Later, as a production supervisor at Navistar, he realized managing employee relations was a role he enjoyed and chose to pursue it full time. Dennis’s background now includes over 24 years of HR experience, all in manufacturing environments. Dennis has a BS in Industrial Technology from Northern Illinois University and an MS in Management from National Louis University. He has served as President of the Board of Directors at the Boys and Girls Club of West Cook County and continues to collaborate on the Honorary Board. Bob Perna joined The AZEK Company in January 2019, bringing over 25 years of legal experience to the company. He was previously Senior Vice President, General Counsel & Secretary of Rockwell Collins, Inc. where he oversaw all legal operations. At AZEK, Perna will provide counsel to the Board of Directors and executive team on securities law, corporate governance and other legal matters. He will also provide advice and counsel on a broad array of business and legal issues. This will include supporting merger and acquisitions, managing litigation, and overseeing labor and employment, employee benefits, intellectual property, data privacy, anti-corruption, and general commercial and government contracting law matters. Bob earned his JD from George Washington University law school and his Bachelor of Science degree from Pennsylvania State University. Jeanine Gaffke joined The AZEK Company in January 2018 and is responsible for overseeing the planning, development and execution of AZEK Building Products’ marketing and advertising initiatives. Her primary responsibilities are strategic development of branding, market research, consumer advertising, channel strategy, pricing, digital, social media and integrated communications. Most recently, Jeanine was the Vice President of Marketing and Business Development at Emerson, a $14.5 billion, Fortune 500 company. For the past three years, she was responsible for leading Emerson’s organic growth initiatives, marketing, communications and digital efforts for the Commercial and Residential Solutions division. Prior to Emerson, Jeanine held a variety of leadership positions, including Head of Global Marketing for Sealed Air Corporation; Global Marketing Strategy and Communications Consultant for The Hershey Company and Vice President of Marketing for Ariel Investments. In addition, she has been a board member of the Business Marketing Association since 2002 and is the immediate past president of the Chicago chapter. Jeanine holds a Bachelor’s degree in Journalism and Business from Indiana University and a Master’s degree in Business and Technology from DePaul University. 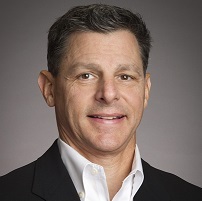 Bill joined The AZEK Company as Vice President and Chief Information Officer in May of 2017 and is based at the company’s corporate office in Chicago, Illinois. Bill has more than 25 years of experience and a proven track record in information technology. His background in supply chain building and leading teams transforms critical business functions as he works to implement world-class technologies. Bill most recently worked at The Chamberlain Group in Oakbrook, Illinois as Vice President of Supply Chain and Business Transformation where he was responsible for leading critical supply chain operations and information technology strategic change programs. Prior to joining The Chamberlain Group, Bill worked at The Scotts Miracle-Gro Company in Columbus, Ohio where he was Vice President and CIO of Global Information Technology Services. Bill holds a Bachelor’s degree in Engineering from Arizona State University and a Master’s degree in Business Administration from Cleveland State University. Bobby Gentile joined The AZEK Company as Senior Vice President of Operations in November of 2016 and is based out of our Wilmington, OH office. He has more than 20 years of professional operations experience with a strong background in Lean Manufacturing and Continuous Improvement programs. Prior to joining The AZEK Company, Bobby held leadership positions at some of the country’s top manufacturing companies. Most recently Bobby was Vice President of Manufacturing and Logistics at Overhead Door, Corp. Prior to that, he held high-level positions at Gardner Bender and Newell-Rubbermaid. Bobby has a BS in Chemistry from Duquesne University. Jon Skelly joined The AZEK Company as Senior Vice President of Business Development in January of 2018 and is based at the company’s corporate office in Chicago, IL. Jon has 20 years of strategy, M&A, analytics, integration and business development experience and is responsible for developing and leading the company’s strategic growth efforts. Prior to joining the The AZEK Company, Jon held leadership positions at market-leading distribution and building products companies. Most recently, Jon was a corporate officer with W. W. Grainger, a $10.1 billion, Fortune 500 company, as Vice President, Corporate Development where he was responsible for all corporate development/mergers & acquisitions both global and domestic. 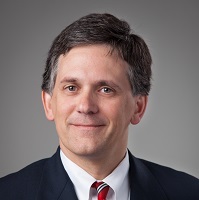 Prior to W. W. Grainger, Jon held a variety of leadership positions, including Director of Strategic Business Development for The Home Depot and Director of Mergers and Acquisitions and Strategy for Hughes Supply, Inc.
Jon holds a Bachelor’s degree in Finance from the University of Florida and a Master’s degree in Business Administration from the Fuqua School of Business at Duke University.